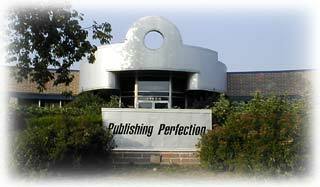 Publishing Perfection was founded in 1987 when desktop publishing was in its infancy. Graphics tools such as laser printers and image scanners were rare. And expert assistance on buying these products was rarer still. Our objective was, and still is, to fill a niche for customers looking for these and other difficult-to-find computer products. From the very beginning, we have offered cutting-edge software and hardware solutions through direct marketing to those customers looking for specialized, and sometimes difficult-to-find computer products. In recent years, we have moved beyond our strong focus on desktop publishing and graphics to include multimedia production tools and mainstream computer products. We ship from 13 points around the country, and we specialize in overseas orders. Combine more than ten years in business with a sales staff who possesses both broad product knowledge and the ability to analyze customers needs, and you have a company that crosses the line from the ordinary to the extraordinary. While computers are all about technology, this is still very much a people-business. Our friendly, experienced staff members are the key to our success. You'll find our in-house experts can lend assistance with virtually any difficult application. We frequently schedule on-site training sessions for our sales consultants to generate interest and familiarity with your products. We provide our staff with the best tools available to aid in their sales and support efforts. We understand the unique needs of graphics and multimedia professionals. We don't simply fill orders, we offer expertise, advice, and a specialized product line allowing creativity to flourish in a high tech world. Our main edge over other computer direct-marketing companies is our staff. All our marketing reps are highly experienced computer professionals, so when you call Publishing Perfection, you'll gain the added value of speaking to a pro with extensive product knowledge and years of practical experience in the industry. We specialize in cutting-edge, high-performance products. If your business demands the very latest in technology, or if you're a "first on the block" computer enthusiast, you'll find it here. Our staff is available Monday - Saturday to answer questions and take your order. And because of our large inventory, most orders ship same day. From anywhere in the United States, Canada and many Caribbean locations. A large percentage of our sales are to overseas clients; we have the know-how to ensure that overseas orders are delivered quickly and safely. PAL and 220V products are available. Because of our volume purchases, we are constantly running special value bundles, package deals and promotional offers. If there's something you want, we can tailor-make a package for you! Interested in participating in our marketing programs, appearing in our catalog, or on our web site? Please contact our Co-op Director.